Our body wrap uses herbal formulations that work externally to internally. 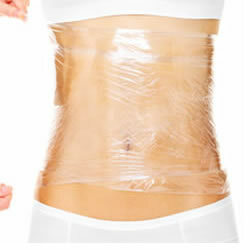 It works to detoxify by aiding in the removal of wastes that have become trapped in vulnerable parts of the body. A cleansing process takes place within tissues that help restore elasticity to loose, flabby skin. This wrap is the most beneficial to the body as it uses your body’s own system to cleanse and remove waste. This cream has been developed by a world renowned bio chemist working on natural healing therapies. Solutions4 Body Wrap Cream, promotes a healthy and permanent inch loss of 4-14 inches per treatment while maintaining proper hydration. The inch loss will remain lost with a healthy diet and exercise regimen. When activated and applied to exfoliated skin, the cream will be absorbed immediately. This cream is also very beneficial for those suffering from poor circulation and fluid retention. Removes cellulite by targeting and removing the toxins trapped in the connective tissue. Soothes, heals and stimulates new tissue growth. Increases skin elasticity and improve skin’s firmness. 1. Some of the free fatty acids are readily available to be used as fuel by the body during exercise. 2. What is not consumed as energy will get to the liver where it will either be oxidized or re-processed for storage. It is unknown how much gets oxidized versus re-stored, but results suggest that fat does indeed get oxidized (no visible or measurable redistribution of fat in the treated areas). *Hydration is critical. Drink plenty of water (ideally at least 8 glasses of 8 oz of water) spread out throughout the day. Diuretics (coffee, alcohol, etc.) are discouraged. *The lymphatic system should be mobilized. Post treatment exercise (and/or our Vibration Plate Therapy) is essential. The client must be encouraged to be active and burn 350 calories following each treatment through cardio and/or our Whole Body Vibration Plate. 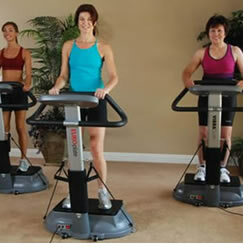 Vibration Plate Therapy has two vibration platforms that move at speeds to increase muscle stimulation. The body undergoes changes of rapid acceleration and deceleration, similar to running or being on a trampoline, allowing for increased range of motion in muscles, tendons and ligaments. This helps increase blood supply for muscle strength and neurologic response, aiding in improving balance and movement. Most sessions last up to fifteen minutes in one visit. Here at Well Body Solutions, we opt for a more holistic approach. A “holistic” approach means treating the whole person, rather than just the physical symptoms. Holistic health is a whole approach to life. As an individual, you are unique. Your food habits, stress levels, and personal problems all contribute to the condition in which you find yourself today. Rather than treating a symptom or a specific illness, holistic therapies focus on and consider the whole person and how every part of their life is affecting the body. Holistic treatments address the causes of illness rather than merely alleviating symptoms in the short-term. We believe that when the body is given the resources it needs, it will heal itself naturally. The only way to really get well – and remain well – is to give the body what it needs. To meet your holistic needs, we offer resources that help you improve your food habits, reduce stress levels, sleep better, and increase your physical activity. We will take the time to educate and coach you along throughout your program so you have a clear understanding how to stay well. As part of your initial consultation, you will receive a 9-point body composition assessment including: weight, body fat %, body water %, muscle mass, physique rating, Basal Metabolic Rate, Metabolic Age, Bone Mass, and Visceral Fat. Once we have discussed your goals and assessment results, we are then able to make recommendations for a program design specifically for you to meet your desired wellness goals. Light is as essential to our health as any vitamin, mineral, or anti-oxidant. Light is the regulator of the body’s circadian clock, controlling physiological changes that occur with the day’s natural light-dark cycles. Today, we live under artificial light, wear sunglasses, and drive cars with tinted glass. The result? A significant reduction in the beneficial light frequencies we need every day. Moreover, we are now faced with a new kind of stress never before seen in human history, and it’s directly linked to our high-tech, overloaded lifestyles. 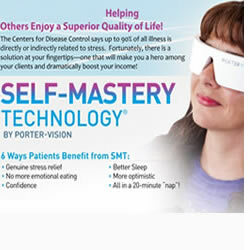 Doctors are calling it “super-stress”, and the effects can be devastating, robbing you of the good health, energy, mental harmony and quality of life that are your birthright. Your brain copes with this type of lifestyle by producing more of a high-intensity brain wave known as beta, and suppressing the more relaxed alpha and theta brain waves. Once your brain habituates to this new stress pattern, it becomes difficult for you to wind down. You may experience foggy thinking, poor memory, lack of motivation, negative self-talk, difficulty concentrating and low energy – all of which set the stage for unhealthy lifestyle habits such as stress-eating, smoking or over indulging in other harmful ways. The MindFit features harmonizing tones synchronized with gentle light pulses that travel through the ear meridians and the retina, sending direct signals to the brain and guiding you into deep relaxation. This innovative form of brainwave training is called frequency following response, and it provides maximum results in the least amount of time. Fitting in a fitness routine and healthy lifestyle can be tricky for most busy adults. We have developed a program that will educate you as well as provide a personalized fitness program based upon your individual needs. There are many ways you can work great health into your life to support any busy lifestyle. Consistency is the key to success! Well Body Solutions offers in-home as well as on-site fitness training options for any fitness level and some special populations. We work with golfers and tennis players along with most other sport athletics as well. In addition, we have over 20 years experience working with post rehab patients, evaluating, treating and assisting in the rehabilitation of numerous sports related injuries. 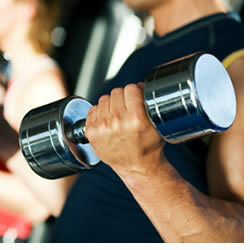 We have trained individuals to increase strength, sculpting and functionality. Click here to discover more about the University. 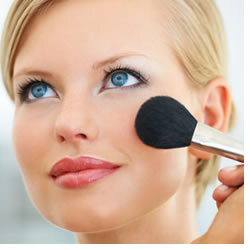 Our beauty expert, Lindsay, offers a variety of services individually or in packages. Her packages are completely personalized to your occasion and/or party. Examples of packages include wedding parties, homecoming/prom dance events, bachelorette parties, etc. Services include: makeup application, facial waxing, brow shaping, and eyelash extensions. You can come to us for an individual service, or she will come to you for individual or package services. Lindsay happily services all of Orange County, please inquire about pricing for other counties outside. *Prices vary depending on style of make-up, size of party, and style of eyelash extension desired. *An extra charge applies to mileage over 20 miles from our location.